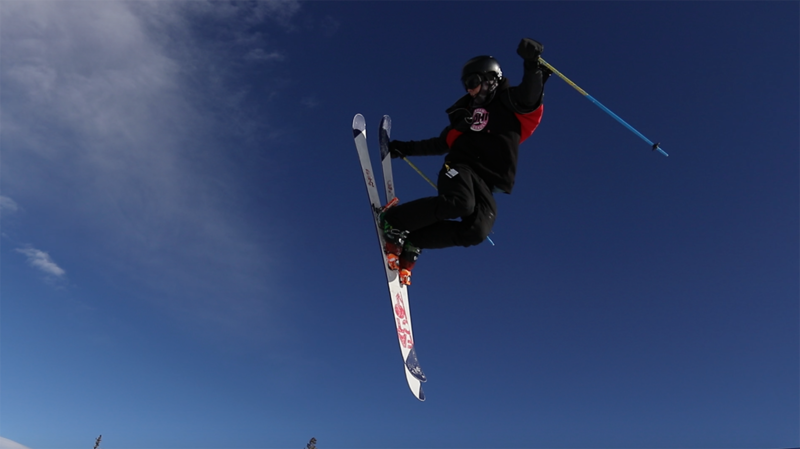 A few years ago I stopped competing in slopestyle contests after more than a decade of seasons that effectively amounted to training, traveling, and competing non-stop from Thanksgiving until mid-April. As a result, both my relationship with and approach to skiing has changed fairly drastically. I’ve begun to take a much more relaxed approach to riding park, and I’ve begun looking at terrain parks as more than just training venues. As a result, I’ve increasingly enjoyed riding wider and softer park skis; gone are the days when I was hitting enough jumps to warrant narrow, stiff, competition slopestyle skis. I’m spending less of my time on the hill hitting jumps, and I’m finding narrow, stiff skis to be less fun on a day-to-day basis. Scott Nelson on the Faction Candide 2.0. The Faction Candide 2.0 is a 102mm-wide, rockered, all-mountain freestyle / park ski. It’s one of the widest skis I’ve ridden in the park so far, though its dimensions are fairly similar to those of the J Skis Allplay, which I reviewed (and quite enjoyed) a couple seasons ago. I’ve skied a wide range of conditions on the Candide 2.0, and can say that I’ve put it through a thorough test. I’ve taken the Candide 2.0 off 30-ish foot jumps and tons of rail and jib features at Keystone and Breckenridge; skied moguls and some fairly steep lines in Vail’s back bowls; and worked it through steep trees at Arapahoe Basin. The Candide 2.0 has a medium flex underfoot (compared to other park skis) that tapers significantly as you move toward the quite soft tips and tails. The CT 2.0’s tip flex pattern is similar to the Armada Edollo, though the Edollo features traditional camber through the tail, whereas the 2.0 has substantial tail rocker. The Candide 2.0 is a highly surfy, buttery, flat-out fun jib ski. Much akin to the Armada Edollo in this regard, the 2.0 makes Keystone’s rail line feel like a skate park, as if you’re on a ski that begs you to take advantage of every transition in your path. The CT 2.0 loves to slash, tap, and gap. Its soft, rockered tips and tails make butters feel nearly effortless, and yet it still retains the pop of a slightly stiffer ski. The CT 2.0 feels light on my feet, too, making the ski feel more like an extension of my body than any ski I’ve used of a similar width (95-105 mm underfoot). This makes quick switch ups and spins on and off of rails almost as easy as a much narrower ski like the Scott Jib TW of old. The CT 2.0 feels lighter and more nimble than the J Skis Allplay and the Kitten Factory Razor 95 in terms of swing weight — both of those skis have beefier tips than the 2.0, and the 2.0 feels roughly on par with the Armada Edollo in terms of swing weight, despite being 4 mm wider at the waist compared to the Edollo. Let’s get this out of the way: the Candide 2.0 isn’t a competition-ready slopestyle ski. It’s simply too wide and too soft. Its soft, rockered tips tended to rattle when taking impacts, and its equally soft, rockered tails tended to flex and wash out when I landed slightly backseat. However, the CT 2.0 is stiff enough underfoot that if I did land on the balls of my feet, this issue vanished. Of course, none of this is surprising, given the CT 2.0’s rocker profile and flex pattern. Now that we’ve stated the obvious, let’s compare the CT 2.0 to similar skis in its class, namely the J Skis Allplay, Line Blend, and Armada Edollo. The Candide 2.0 is noticeably stiffer and more stable than the Line Blend, which features a rocker profile somewhat similar to the 2.0, but with the flex pattern of a wet noodle. On the other hand, the CT 2.0 isn’t quite as stiff as the Allplay, which I would give the edge over the CT 2.0 in terms of feeling stable and reliable on larger jumps. Where the CT 2.0’s flex pattern quickly tapers in front of and behind the boot, the Allplay’s flex tapers much more subtly (i.e., it stays stiffer for more of the ski), and leads to a more user-friendly and predictable jumping feel. With the Candide 2.0 (and the Blend and Allplay, for that matter), I found myself longing for the Edollo’s traditional-camber tails, which really made landing in the backseat a lot more manageable than these other skis. Underfoot and through the tip, though, the CT 2.0 felt reminiscent of the Edollo in terms of flex pattern and stability. Both skis felt pretty rock solid underfoot but have flex patterns that taper significantly, leading to a hinge point roughly 25 cm from the tip. The Edollo’s tip is ever so slightly softer than the CT 2.0’s, and I’ve had the Edollo’s tips flex out on tip-heavy switch landings a little bit more easily than the Candide 2.0. I had one surprisingly deep day on the CT 2.0 spent lapping the Palavacini lift at Arapahoe Basin. The CT 2.0’s tip rocker, coupled with its relatively wide waist (for a park ski, at least), allowed me to float fairly well in the ~18 inches of wet new snow. At the same time, the ski didn’t feel overly cumbersome when skiing bumps and tight trees. Given the 2.0’s tail rocker and generally soft tips and tails, this ski doesn’t lend itself to charging, and I felt a fair amount of chatter at higher speeds and in variable conditions. I always start this section with the caveat that I’m particularly hard on my equipment. I slide a lot of rails, and I tend to do a lot of high-impact rail tricks like disasters and gapping to the flat of down-flat rails. With that said, I was disappointed to experience the exact same delamination issue on the CT 2.0 as I did on the Faction Silas that I reviewed several years ago (that ski has since been discontinued). After five days of skiing on the CT 2.0, I found that the sidewalls were separating vertically from the base and edge. After 16 days on the ski, there was a roughly 3-millimeter gap between the base / edge and the bottom of the sidewall through which I can see the core of the ski. Consequently, water is able to get into the core of the ski. To be fair, this isn’t an issue that I’ve experienced solely with Faction products, and it isn’t necessarily a death sentence. I’ve had this same sort of delamination occur on two skis from Armada (a 13/14 AR7 and a 15/16 Edollo), and after the delamination began to occur, both skis held up for at least 20-30 days after that point. Moreover, I don’t feel any significant difference in the performance of the CT 2.0 since I initially noticed the delamination issue. At around 20 days, I had a small part of the edge blow out on one of the CT 2.0’s tips, but other than that, they are still fairing ok, and the delamination hasn’t gotten significantly worse. The Faction Candide 2.0 is a solid 1-ski quiver for playful skiers who ski a wide variety of terrain. 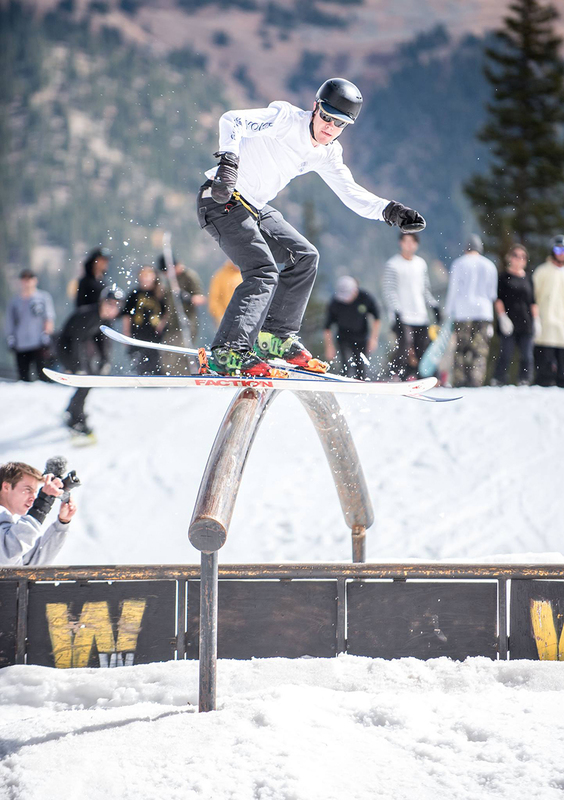 It’s a playful, fun jib ski to cruise something like the Keystone rail park, yet it can still aptly handle Breckenridge’s 30-40 foot jumps. It’s also a pretty nimble ski for Pali bumps and trees at A-Basin, and has proven to manage fairly well for its width in up to 18 inches of new snow. Though the pair I skied had its durability issues, I found the CT 2.0 to perform well in a broad range of applications and conditions, and I have really enjoyed it as my daily driver.